Jessica Gates has been working in the mental health and substance abuse field for over 6 years. Jessica has worked in all areas, starting as front-line staff and moving her way to admissions and marketing. She is passionate about this field due to her personal experiences. 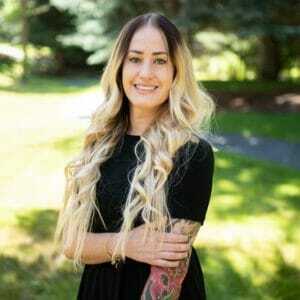 Jessica is a woman in long-term sobriety and is able to relay her personal stories and wisdom, to the benefit of many. Besides working, Jessica loves her fur babies and is also a certified yoga instructor.